Our Designer Balloons are exclusive to For Your Party and come in a variety of colors so that you can mix and match the balloon and the print color. Customize by choosing balloon and ink colors from our select designs. Gold and silver ink colors cannot be printed on the gold or silver balloons. White ink cannot be printed on white balloons. Balloons arrive deflated and will appear darker than on screen. The color will lighten once the balloons are inflated. 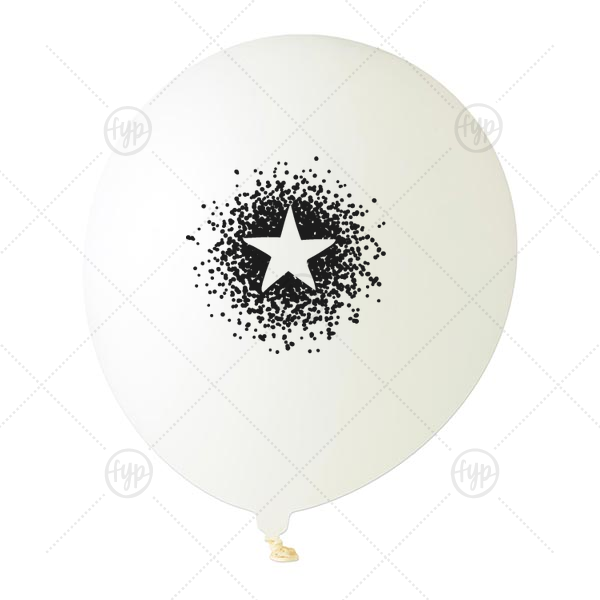 Our custom White Designer Balloon with Black Ink Ink Color has a Dotted Star graphic and is good for use in Stars, Graduation themed parties and will add that special attention to detail that cannot be overlooked.